Paula Wessells: Happy Birthday Mom! If you have a chance please send a birthday wish to my wonderful mom Kathy - she is celebrating a BIG birthday this year. 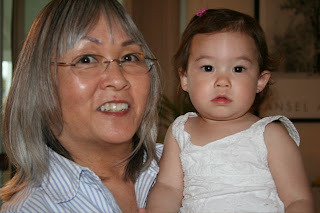 This is a recent picture of her with my niece Amaya at Easter. Both of them are so cute together! 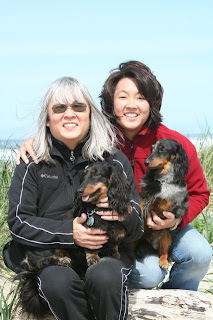 We spent the weekend together at Rockaway Beach, Oregon - great weather (it was cold but we had blue skies) and relaxing! Just what we both needed.